We’ve all been there. You’re tired. You’re feeling burned out. 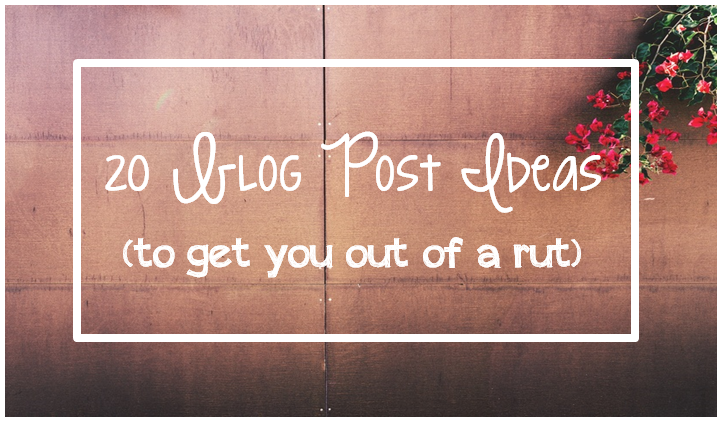 You want to keep up with your blogging schedule but have NO IDEA what to write. You could just skip it. Or you could use that magical button you keep in your closet to stop time. (Oh that’s not a real thing? Darn.) 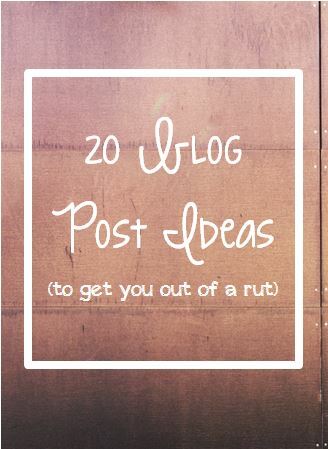 OR you could use one of these blog posts ideas I’ve listed below! They’re quick, easy, and guaranteed to help get you out of your writing rut! Track the progress of your fitness goal! Share the results of your latest haircut/style! Are you part of a group or organization? tell us about it!